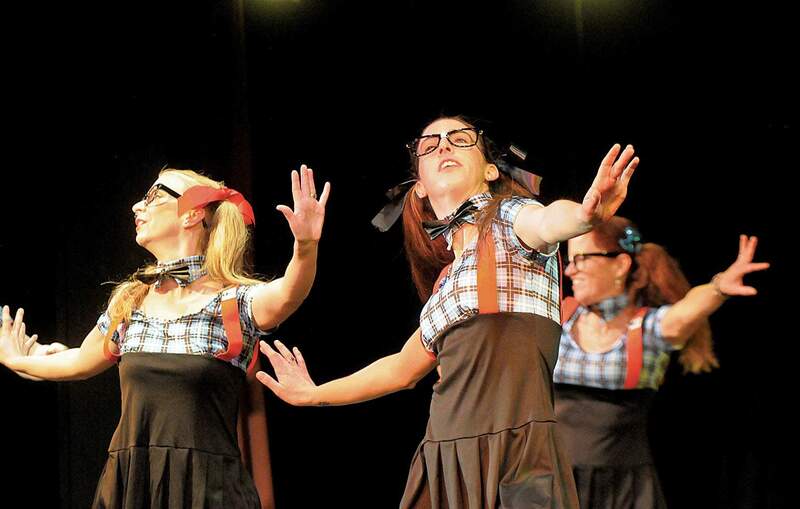 Chorus line members strut their stuff during the 2013 Snowdown Follies on Tuesday at the Durango Arts Center. Snowdown Follies chorus line auditions for the 2018 show will be held at 12:30 p.m. Dec. 2 at the studio in the Smiley Building, 1309 East Third Ave., and cast auditions will be held at 6 p.m. Dec. 6 at the Henry Strater Theatre, 699 Main Ave.
Snowdown Follies chorus line auditions will be held at 12:30 p.m. Dec. 2 at the studio in the Smiley Building, 1309 East Third Ave., and cast auditions will be held at 6 p.m. Dec. 6 at the Henry Strater Theatre, 699 Main Ave.
All who want to be in the 2018 Follies are required to audition. The 2018 Snowdown festival, “It’s a Black Tie Affair,” will be held Jan. 31 to Feb. 4.